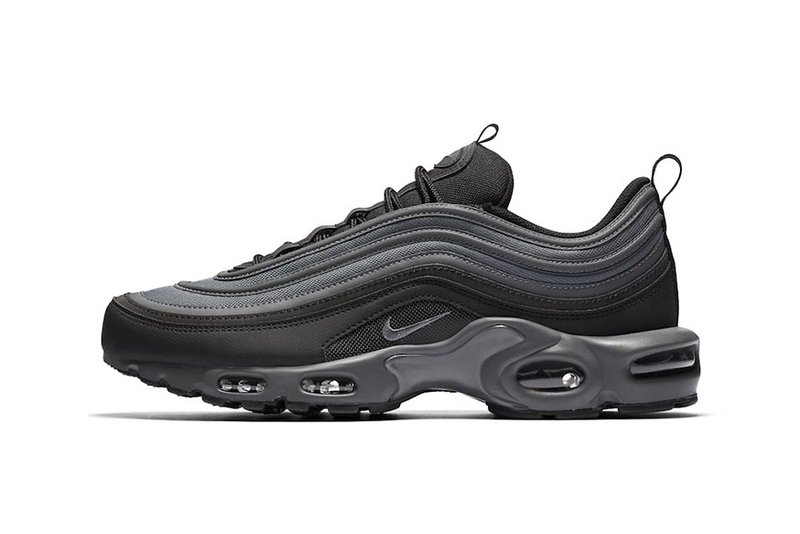 Nike unveils the Air Max Plus 97 hybrid sneaker in a sleek monochromatic scheme. The latest iteration features an all-over tonal black colorway with reflective accents on the wave-like uppers to boot. As far as construction goes, the shoe is equipped with a leather and mesh upper combination alongside the foam midsole with Max-Air cushioning for unparalleled comfort. Peep the kicks above and cop one now at select retailers such as Capsule Toronto for $177 USD. Elsewhere in footwear, check out the New Balance Made In The USA 998 with pony hair. Nike Wraps the Air Max Plus 97 in "Cool Grey"
Nike Releases the Air Max 97 in "Metallic Gold/Metallic Silver"
A nice touch of lux. A modern take on the Tinker classic.